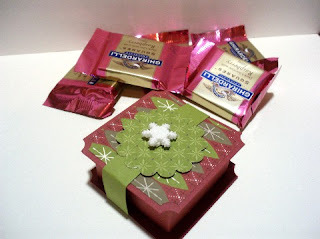 Here is my version of the ghirardelli chocolate box. 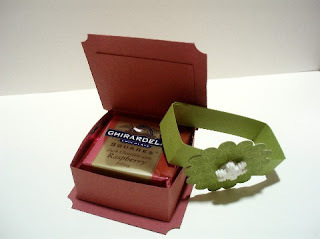 I used Stampin' Ups! Holiday designer paper (retired). Each box holds three chocolate squares. You can find the directions for these here.